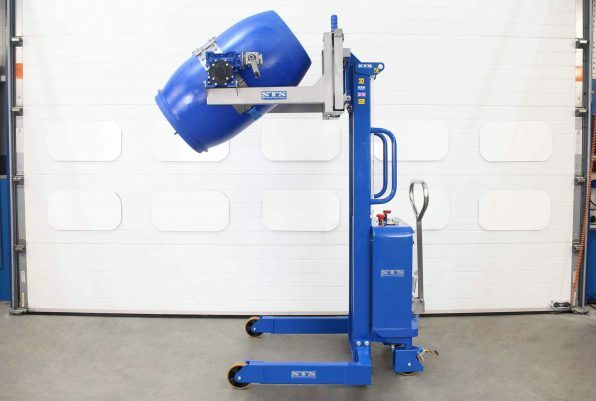 The electric-lift Universal Drum Rotator has become the backbone of our product range. The STE01 has maintenance-free onboard batteries along with a built-in automatic battery charger. 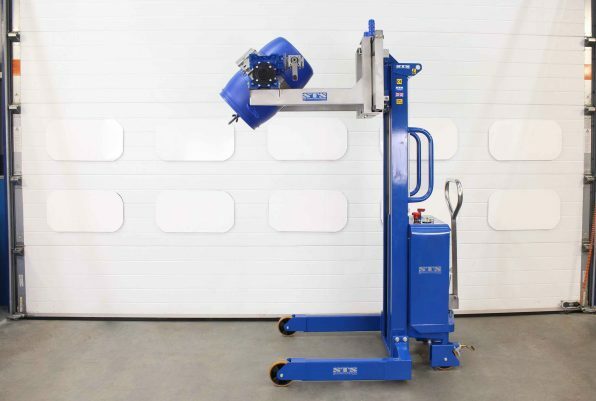 Manufactured in the UK, our electric drum lifter is self contained and mobile, making it great for large production facilities. As with all STS drum handling products we offer many different options and customisable features to suit your exact requirements. Our qualified electrical and mechanical engineers install the lift circuits and ensure they’re fully compliant. We also install mandatory safety features and emergency stops on all of our drum handling products to keep you and your operators safe. A battery gauge informs operators when the electric drum rotator is ready to be charged. The STS drum band is unique in the drum-handling industry. Made from stainless steel, this adjustable band helps you handle drums from as small as 50 litres, right up to 220 litres, whether steel, plastic or fibre. Simply adjust the variable band to the drum size and secure the drum with the ratchet and polyester strap. 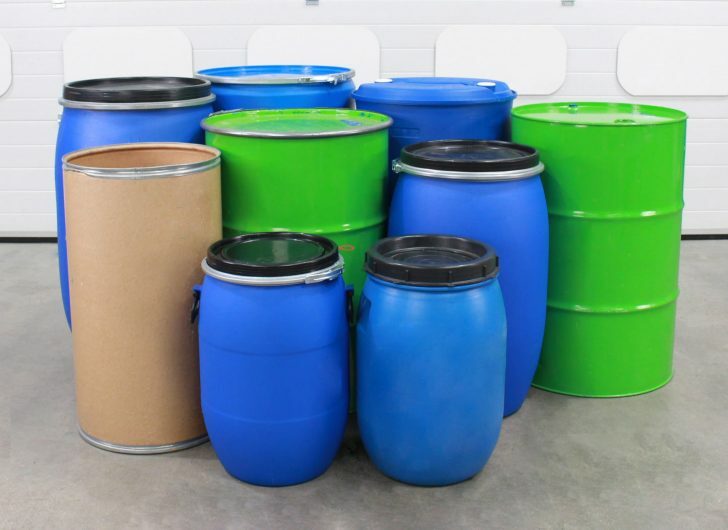 For applications where only 200- to 220-litre steel and plastic drums are being handled, we can supply a fixed over-centre drum band. The band is rubber lined and very simple to use. The electric drum rotator comes with a rim-locking device, which attaches to the lip of the drum to add a second security measure. 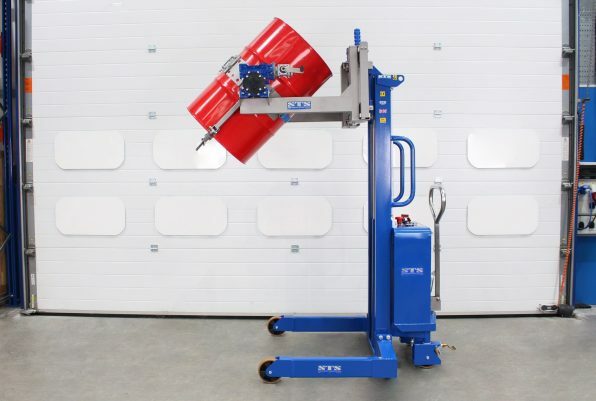 This allows the Universal Drum Rotator to handle a vast range of drums safely, some of which cannot be handled by other equipment on the market. 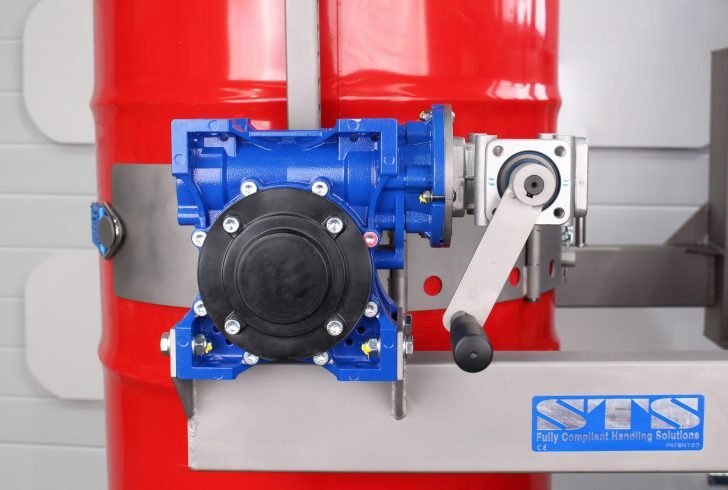 We build all our drum rotator models to include a high-quality self-locking rotational gearbox. 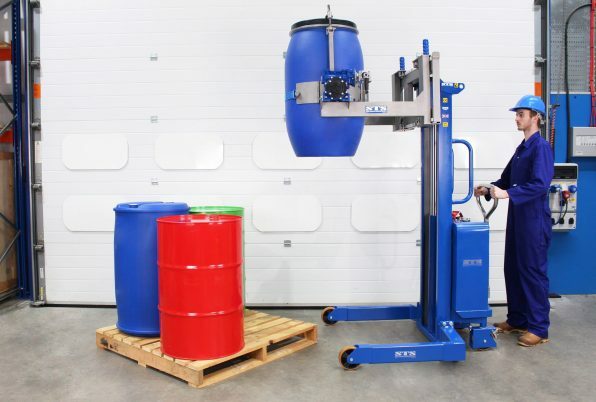 This makes sure that when you’re using the drum lifting equipment, the barrels always remain under control and never self-rotate. The base model is operated by hand but we can also provide options with power rotation. Ackermann rear-wheel steering gives you maximum directional control when tipping drums into your process. The wheels are 160mm in diameter and contain two rubber-sealed (RS) precision bearings, and we fit park brakes on all models. We can also provide you with custom leg configurations should you need them. 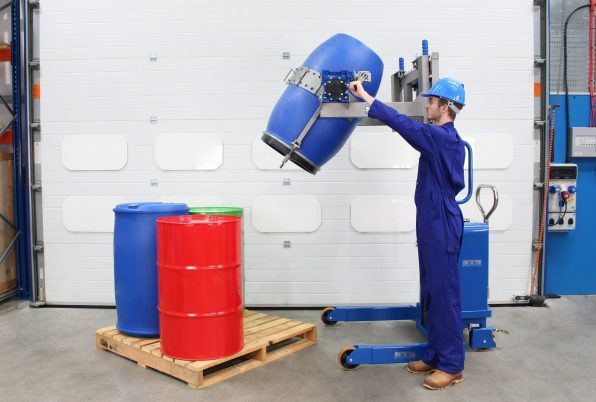 Our Universal Drum Rotator is suitable with a wide range of drum types, sizes and materials. For a list of compatible drum types, see the drum suitability document by clicking the button below. 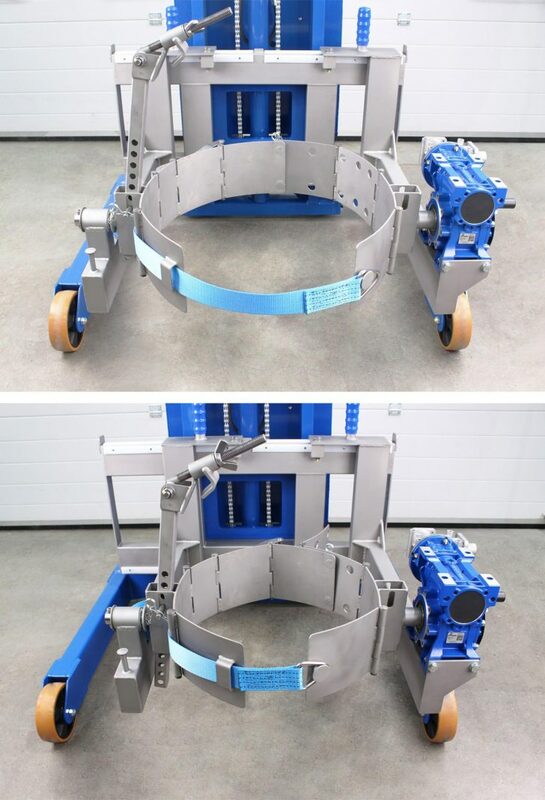 Improve efficiency using hydraulic powered clamping arms. 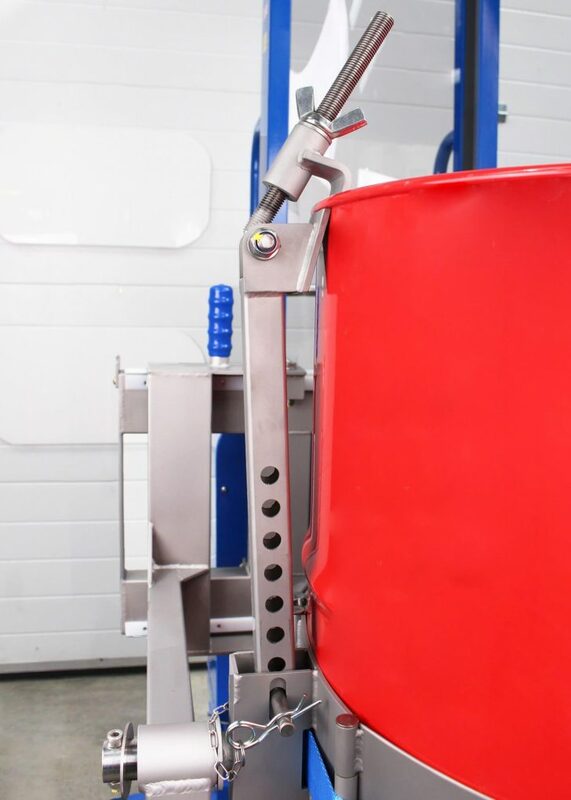 Our unique flexible pads can clamp drums from 50- to 220-litres. For time-critical pouring applications we offer power rotation. 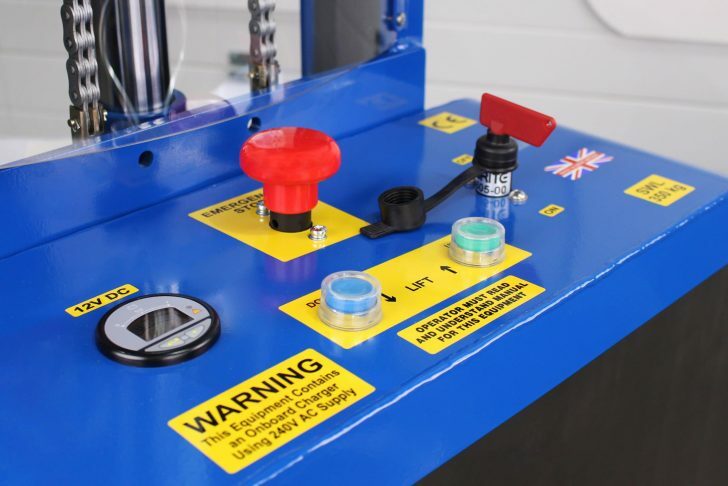 You can control drum tipping from either the rear panel or the front of the machine. When moving drums over long distances you may need power drive. Our electric power-drive tiller steering offers effortless control. When machinery integration is critical, we can modify leg dimensions of the drum rotator to suit your facility. 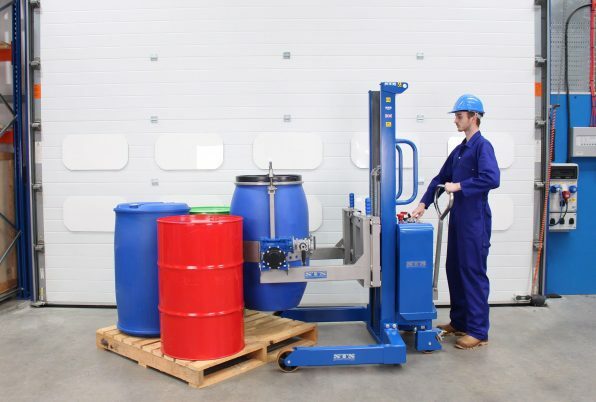 With our load-cell system you can weigh drums while you handle them. A digital read-out provides real-time weight information for quantity-sensitive processes. 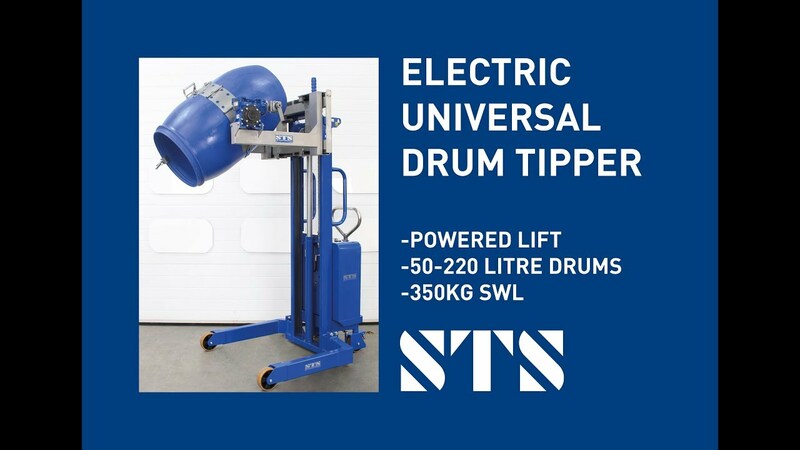 If you’re using drum handling equipment for drums smaller than 50 litres, we can provide an insert that allows you to lift small containers with the universal drum band. 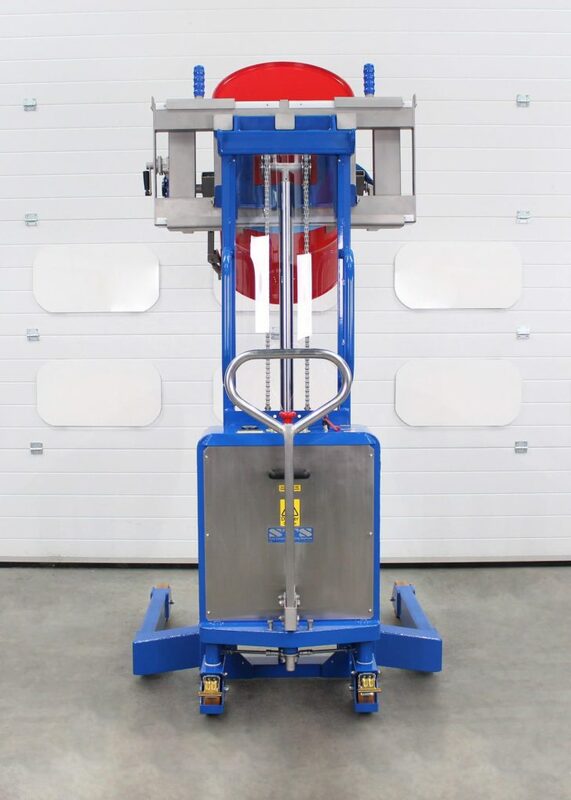 See the full technical specification for our Universal Drum Rotator (Electric) for details such as weight, dimensions and load capacity. View the instruction manual for our Universal Drum Rotator (Electric), which details how to safely operate and maintain the unit.